Savannah Cat basic care infroamtion such as litter boxes, leash training, diet, food, vaccinations, anesthesia, toys and more. When it comes to raising Savannah Kittens into adulthood the philosophy is to "Expect only what you put into your Savannah Cat". If you provide proper daily care of exercise, mental stimulation and positive reinforcement training while young, it will result into healthy well-adjusted adults. If you're considering adopting a Savannah Kitten you will need to preform kitten-proofing, obtain necessary care items and pick a quarantine room. As a cat owner you also need crucial details on how to provide proper exercise that is both physically adequate and mentally enriching. Kitten-proofing your home helps ensure your kitten's safety as well as your own. Kittens are lively and curious, which can lead them into serious trouble unless you take preventative measures. A kitten has a lower vantage point than yours, like a crawling baby, and may be attracted to things you do not see when you are standing. Quarantine is a time frame of 2-3 weeks of personal one-on-one time with new owner(s). Rushing the introduction process can result in a scared, skittish and unsure feline that can result in unruly behavior at your fault not the cat. Quarantine should be in a medium-sized room. This room should be ideal for the kitten to not be too confined, so the kitten does not feel threatened. You will then need to provide proper enrichment items to redirect the cat attention, provide exercise and to provide an activity to bond with your new kitten. The most important aspect of quarantine is keeping all animals separate during introduction and eliminates typical routes of bacterial and viral infections. Remember your kitten requires visits to the veterinarian’s office for crucial vaccinations and exams, while a kitten it's immune system is less than adult making it easy to catch something. Most animals only visit a vet when sick, take care to disinfect any surface the kitten will touch at the vet. Sales contracts between you and your breeder often mandate a veterinary visit within a specified brief time after arrival, this allows the vet to discover any issues that may have incurred due to stress of being re-homed or otherwise obtained. The quarantine is also the ideal time to reinforce litter box habits. In the eyes of your kitten you must realize that your home is much larger to them than it is to you. Therefore, being in a smaller area where they can easily locate the litter box is ideal. Be calm and quiet when you bring your kitten into your home. Place the carrier on the floor and let the kitten come out on its own. To encourage the kitten to come out of the carrier for the first time coax him/her out with a teaser-toy. Keep the kitten in a small room to start, slowly allowing him/her more run of the house. Place the kitten in the litter box several times in the first couple of days. Sit on the floor, on the kitten’s level, to play and socialize. Currently we are using Dr. W. Jean Dodd's vaccination protocol. This protocol is now being adopted by ALL 27 North American veterinary schools. Important to note that mom's antibodies are not completely gone till 16 weeks thus shots given earlier may have no effect. Shots are given 3-4 weeks apart, never give a booster shot when a cat shows signs of being sick. Test all your current felines prior to getting your new kitten. Upon receiving your kitten, you will need to test with the FIV/FELV Blood Test or if it is one of my kitten the parents are already tested negative, so negative by parents. Parasites are a common occurrence in cats as they are easily contracted through drinking water or simple touch of infected surfaces, some parasites can live weeks without a host with prevalence rates as high as 45 percent. The parasites can be worm-like (e.g., stomach worms, roundworms, hookworms, tapeworms) or one-celled (e.g., Isospora, Giardia, Toxoplasma) organisms. We recommend giving "revolution" which is a topical application given once a month to prevent, control, and treat parasite infections. The active ingredient is selamectin, which interferes with the parasite's nervous system. It is an effective heartworm preventive, killing the immature form of the heartworm. It kills adult fleas and prevents flea eggs from hatching for one month. It is also used for the treatment and control of ear mites and sarcoptic mange. Revolution also treats and controls roundworm and hookworm infections. Do not assume the exam or waiting room is clean. Disinfect the cat's carrier and your shoes after visiting the vet. Use a towel to cover the exam table, bleach towel afterwards. Do not allow routine procedures to be done out of sight. If a shot spills onto the cat have it wiped off with alcohol. Savannah Cats should be treated like any other cat breed (No special shots). Remember vets only take one small course in school about feline nutrition. We microchip all our Savannah Kittens with BuddyID™ Pro Chips. New owners will receive a BuddyID™ pamphlet with instructions on how to register these microchips. Should you lose your instructions you can follow the link below. All microchips are always attached to our main breeder account in case a microchip is not registered into the new owner’s name. BuddyID™ is an innovative leader in the world of animal identification and recovery with over 25 years’ experience. Veterinarian owned and operated. Highly trained staff. Located in the United States not overseas. Run by real people who talk to pet owners and shelters all day long. Official member of the “Pet Microchip Lookup System”. Parent company Microchip ID Systems, Inc. has been in business since 1989. BuddyID™ takes the extra step of posting a free SearchALERT™ in the national network for any registered pet at any time. The following are our current cat foods for pet cats. Not all cat foods will agree with the digestive system of each cat, because of this you will have to monitor your cat. It is strongly suggested to feed a raw cat mixture, be it pre-made or homemade, because raw is the only fully balanced diet. It is understandable that many homes will be able to provide raw due to work and so on. Majority of "wet foods" can cause digestive upset (runny poops), proceed with caution. Dry Food is always left out in a large heavy ceramic bowel. Do not switch to a kitten formula as it is too rich. Growing kittens should always have food available. Canned foods can cause upset tummy so proceed with cation. Your cat's intestines are not meant to eat only dry food because it lacks moisture content, however we suggest a raw diet instead of canned. Raw mixture is given to our kittens once a day, however kittens leave eating dry cat food only. If you would like to feed raw full time we suggest you read as much as possible on www.Feline-Nutrition.org (The Ultimate Feline Nutrition Site). You will find crucial recipes and facts about how to properly feed your cat raw. Pet Fooled is a documentary with commentary by two prominent veterinarians, this film looks at the unregulated pet food industry and its negative impact on animals' health. Research the products you buy on cleanlabelproject.org and share our “shopping lists” with friends and family. And look for a Clean Label Project certification emblem on products you purchase. Vitamins are crucial for all cats both young and old. We use Mazuri Slab Meat Vitamins. It is very important to note that slab meat vitamins are meant for slab meat that lacks bone and other vital organs required to balance other raw mixtures. In our experience these vitamins do not smell or have an offending taste which is a frequent problem with vitamins. Taurine is an amino acid. Amino acids are building blocks for proteins and essential to the proper functioning of most of the body systems. Deficiency of taurine will lead to a weakening of the muscle cells in the heart, causing a condition called dilated cardiomyopathy (enlarged, weakened heart). Back in the 1970s, thousands of dogs and cats were mysteriously dying due to a form of heart failure called dilated cardiomyopathy (enlarged, weakened heart) eventually discovered due to taurine deficiency. Taurine is a component of bile salts, and its deficiency may cause digestive disturbances. It promotes electrolyte balance in cats. Maintains feline cardiovascular health, gastrointestinal function and normal vision in cats. Taurine is water solvent so excess goes out through a felines urine. Feline Nutrition - No bull, Taurine is a must for kitty. Taurine is an amino acid. Amino acids are building blocks for proteins and essential to the proper functioning of most of the body systems. Deficiency of taurine will lead to a weakening of the muscle cells in the heart, causing a condition called dilated cardiomyopathy (enlarged, weakened heart). Back in the 1970s, thousands of dogs and cats were mysteriously dying due to a form of heart failure called dilated cardiomyopathy (enlarged, weakened heart) eventually discovered due to taurine deficiency. Taurine is a component of bile salts, and its deficiency may cause digestive disturbances. It promotes electrolyte balance in cats. Maintains feline cardiovascular health, gastrointestinal function and normal vision in cats. Taurine is water solvent so excess goes out through a felines urine. Exercise is where a cat can expend its pent-up energy. There have been more and more tests showing that cats kept inside can become bored and develop cat serious psychological problems. These issues can present themselves in many ways such as destroying furniture or not using litter boxes. We suggest a combination of real interaction (playing sessions with a cat wand, clicker training, harness training) and interactive toys (cat wheels, wall of shelves, cat trees). Play sessions with a cat wand are the best enriching activity with your cat. Get your cat out of breath with a vigorous session typically 10 – 30 minutes long. Try adding a session before bedtime to get optimal nighttime sleep results. 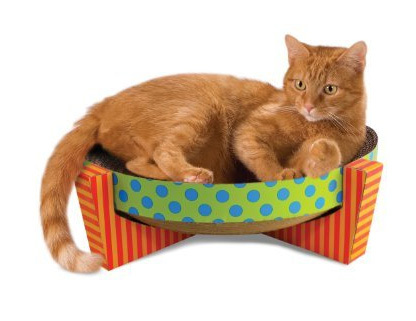 Cat wheels are the must-have enriching experience every cat needs to get that extra energy spent. Proven to not only enhance the physical well-being of our cats but altered their disposition to be more relaxed and calm. Please note that cats still need one-on-one exercise with cat wands and other enriching activities. Cat wheels should be used as a tool to spend energy in between true exercise/play sessions. 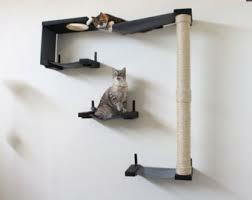 Cat shelves and trees can be used both in real interaction and by the cat alone. Savannah Cats typically require larger more robust options due to their weight. Start placing a fitted harness on you Savannah Kitten and allow the kitten to wear it for extended periods inside the home without associate with the leash. The cat may protest by laying down but eventually will learn to wear the harnesses without struggle. Try associating the harness with play time for positive enforcement. Start attaching a leash inside the home. Take a cat wand to entice the cat to walk. Give extra small treats sparingly for positive reinforcement. If the cat becomes scared, calmly pet the cat and redirect its attention back to the cat wand. Do not be forceful, don’t give up quickly. Patience and repetition is the key. Pick an outside area that is without fast moving objects or loud noises, preferably an enclosed smaller space such as a backyard. Play with a cat wand. Do not attempt to "walk". Your goal is to give positive enforcement to going outside only. From here you will extend your outside adventures. Best Friend Animal Society’s Dr. Frank has a fantastic video on YouTube detailing clicker training methods. After 9,000 years of living with humans, scientists state that all cat breeds remain only semi-domesticated. If you want your cat to obey your needs, you need to make training worthwhile. AdventureCats.org is the first and only resource for information on safely exploring the great outdoors with your feline friend. The site is run by a passionate group of outdoorsy cat lovers who want to challenge negative stereotypes about cats and their owners. Not all cats are content to simply watch the world through the window. Meet the fearless felines who accompany their humans on outdoor excursions and learn safe and fun ways your cat can become an adventure cat. We use clumping cat litter (red color tidy cat) in a storage tote, preferably the large or extra-large size. The longer width, the better. Younger kittens get a low sided storage tote. We suggest you start with a low sided tote at first until the cat is established. We do not suggest lightweight tidy cat only because it gets everywhere and painfully clumps in-between toes. For those owners with sensitive noses we suggest Petco odor-lock crystal litter. This litter is very effective in controlling odor. Problems using litterboxes are often a sign something is wrong. Stemming from either inappropriate box size, box location, cleanliness of the box, litter type/feel on the foot, stress level, insecurity, dirty houses or even illness. Regardless of the cause you need to address the issue immediately to prevent on going issues and also the cat’s well-being. Problem: Insecure animal trying to establish that they are wanted or dominating another animal (Including vermin). Solution: Put the box in socially important areas so your cat(s) can establish their scent. 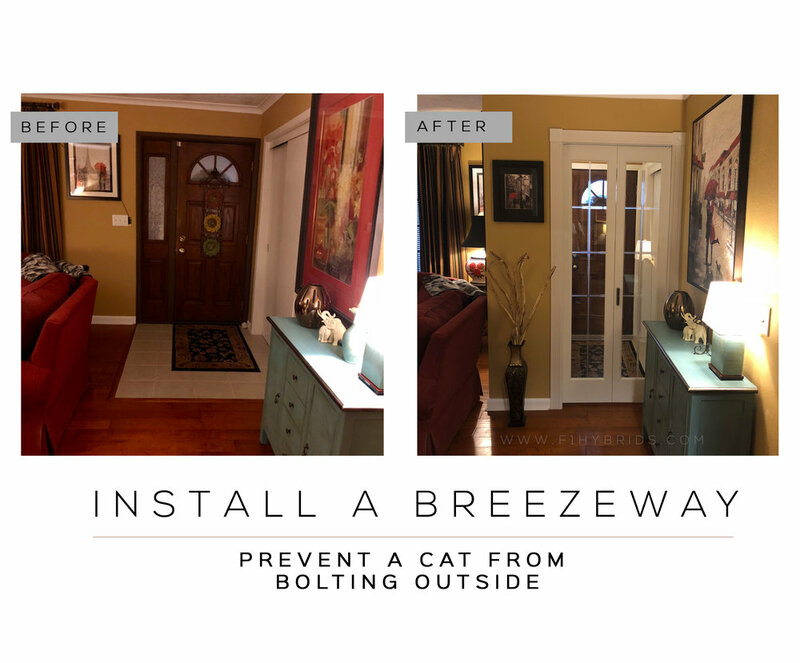 Provide high vertical space so the cat can get up above the action in your home. 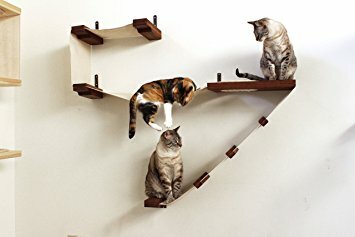 When giving this vertical space you also need to give an escape route if you have other cats they may pin a cat up high with no option to get away. Problem: Hiding the litter box due to oder or ascetics. Solution: Prevent confining smelly boxes by doing open top tubs. Put the box in socially important areas. Solution: Cleaning the sides of boxes. Clean often. Give multiple boxes. Problem: Small boxes. Most pet stores offer 90% of boxes that are too small for any adult domestic cat. Solution: Bigger boxes. Multiple boxes. The box should be wide enough to turn around and long enough to poop twice without stepping in the poop. Get a large storage tub or plastic cement mixing pan as its cheaper and larger. Consider buying a pressure washer to speed up your cleaning time. Trimming your cat’s nails should be done weekly to every other week to avoid destruction of objects. Start young so your cat is used to the process. Run out your cat’s energy first and wait for him to be sleepy. Scruff the neck, bring the paw to the scruff and trim the nails with the other free hand. Check your home for unseen stains that can result in marking. Brush out your cat 2-3 times a year, must have coming out of winter. Cats develop guard hairs that will muddy the coat color, by brushing them out the coat will remain clearer. Savannah Cats require proper mental stimulation and exercise to live a balanced life. When picking enrichment toys, they must be durable and anti-swallow. 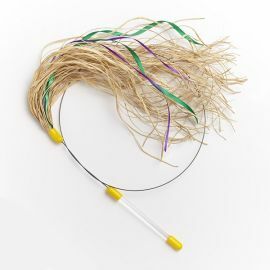 Avoid weak or thin plastic, loose fabric, loose feathers and very small toys. Cat wheels are one of the best ways to expect substantial amounts of energy. But remember toys are not a substitute for real mental stimulation. Got a problem? Marilyn has the answer. Marilyn Krieger, noted Certified Cat Behavior Consultant known as The Cat Coach, is an internationally recognized cat behavior specialist and award-winning author. She offers on-site, Skype and Face Time consultation sessions throughout the world. Marilyn works directly with clients as well as through veterinarian referrals. Her intelligent, capable advice solves diverse behavior problems for all breeds of cats. Marilyn, a graduate of University of California, Davis and San Jose State University (MA), is certified through the International Association of Animal Behavior Consultants. She is the former chair of the Cat Division and former member of the board of directors of the IAABC. If kept inside only an enclosure is not required to have a Savannah Cat. However no cat of any breed should be allowed to roam freely outside. Roaming freely is dangerous with a high injury and death rate. The Savannah Cat is not a very good hunter even though they may look the part, all cases of the breed found after being lost have been in very rough shape with low body score (Thin). Should your cat desire outside play it is suggested provide walling on a harness or to acquire a outdoor enclosure. Try to get or build an enclosure that has perches and room to play. When you come to pick up your Savannah kitten at our home you will receive a Frisco Cargo Carrier lined with the Kaytee Soft Paper Bedding. Although this carrier is a little more expensive than other we highly recommend getting this carrier type that open both top and front. Chewy has free 1-2 day delivery over a certain dollar amount. Offering many items including name brand foods at reasonable prices. The Cat Connection is retail shop located in Texas but ships. Many cat wands options you can’t find elsewhere. 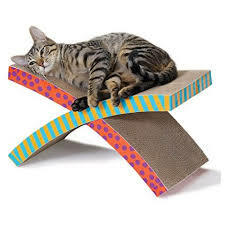 Kuranda offers cat beds and cat towers with a chew proof design. No fabric. Comfortable, easy to clean and made in the USA. Kitty Holster® offers award-winning, difficult-to-escape cat harnesses. They are US-made, soft, comfortable walking vests that secure with ultra-strong velcro closures to keep your cat safe and sound. Kitty Kasa offers stackable plastic cubes that are well made and easy to clean. Many colors. 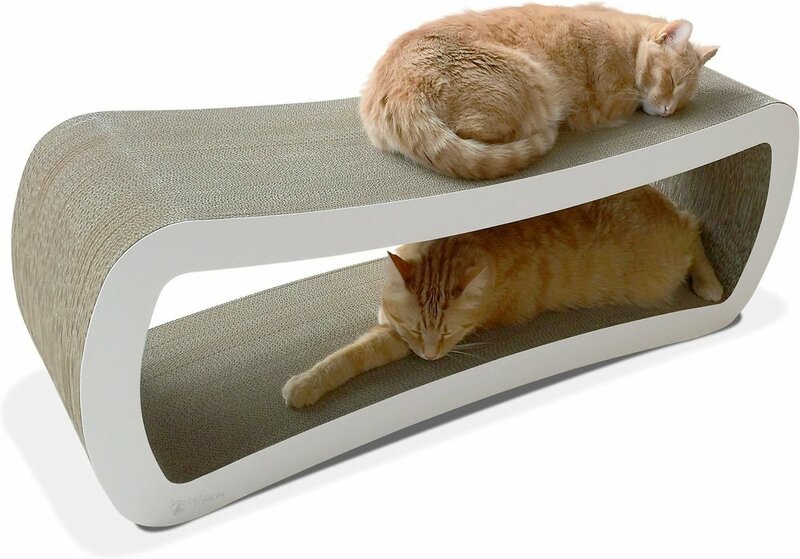 The Refined Feline is to replace the unattractive, aesthetically displeasing cat furniture that is currently in living rooms with sleek, modern furniture that owners. Walmart… wait did I say Walmart? Walmart online offers a cat tree brand called “New Cat Condos”. These trees often have free shipping and are as well made as pet stores you can visit locally. Custom Cages offers high quality enclosures that are powder coated. They also offer a Single Safety Catch that attaches to any door way to prevent cats from escaping. Cats On Deck offers PVC lightweight modular cat enclosures. Hare Today offers hormone, antibiotic & preservative-free raw meats & treats. RodentPro.com® has provided premium quality feeder animals to the reptile, birds of prey, aquatic and carnivore communities since 1993. Cat Spaces offers DYI instructions building a cat enclosure. "Expect Only What You Put Into Your Cat"